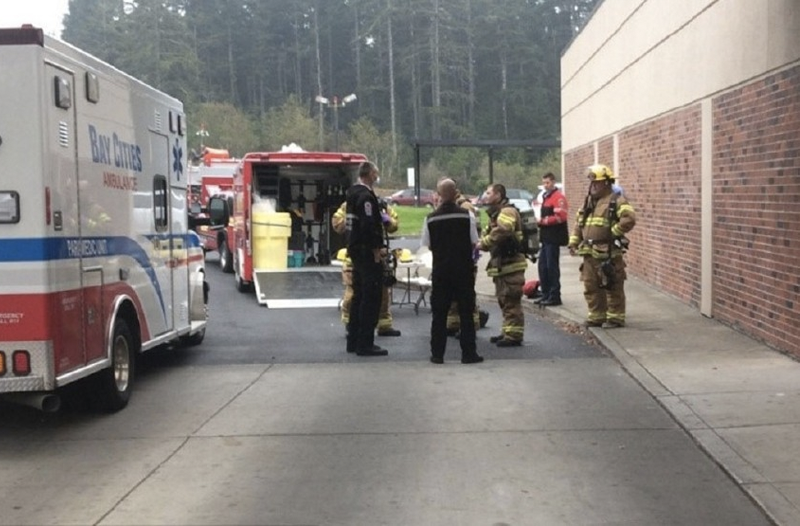 This week, an emergency room in the Pacific Northwest was briefly quarantined after five people—including two police officers and a hospital worker—experienced mysterious hallucinations from an unidentified illness believed to be spread by touch. According to Oregon Live, the enigmatic incident began early Wednesday morning when a 54-year-old caregiver in North Bend, Oregon, called police to report seven or eight people “trying to take the roof off her vehicle.” Police say they found nothing, but after the caregiver reported the unseen vandals a second time, sheriff’s deputies escorted her to a nearby hospital for suspected hallucinations. Shortly afterward, however, one of the deputies began experiencing similar symptoms and returned to the hospital. Soon after that, the other deputy, a hospital worker and the caregiver’s 78-year-old patient also began hallucinating and were hospitalized. A hazmat team was subsequently deployed to both the hospital and the initial residence, but was unable to locate a common source of contamination. Blood tests also failed to find anything unusual. According to police spokesperson Patrick Downing, initial investigations suggested the 78-year-old patient’s narcotic fentanyl patches could be the source of the hallucinations, but that explanation was later ruled out.